Elder Nathan Hales arrived home to Fayetteville, NC at 9:30 am, July 3, 2013. What a joyous reunion it was!! 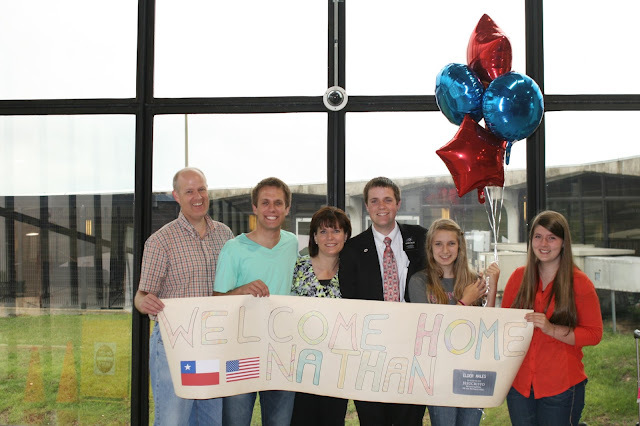 Thank you to all of the great friends out there who read this blog, and kept up with Nathan's mission adventures. Your support and prayers have meant so much! 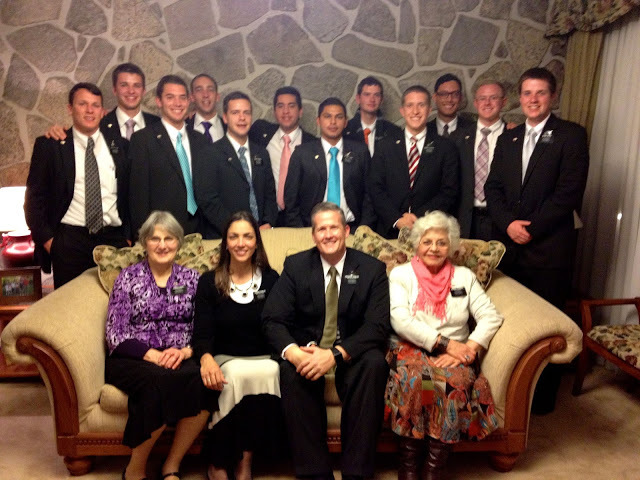 Thank you to two wonderful mission presidents and their families, and to the great companions along the way. The two years have flown by, haven't they? Four years, really, if we go back and count the time Justin was in Argentina. These four years have been a gigantic blessing for the Hales family. To receive these uplifting letters every Monday for four years has been such a strength to us. To have the work of salvation on our minds every day has shaped us and fortified our convictions. 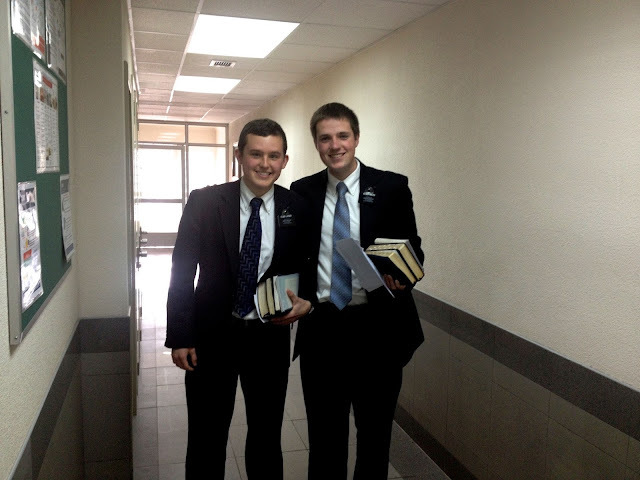 And I'd like to think it's made us better missionaries right here on this side of the world. We have missed our boys, but now they are home with us, and a grand chapter in our lives is complete. We still automatically pray for them on their mission in every prayer! That's going to be a hard habit to break! Here are the last photos of Nathan's mission.